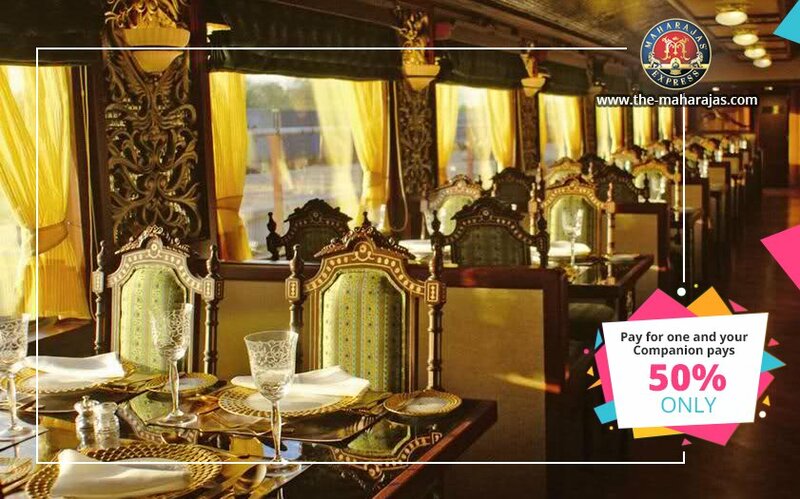 The Maharajas Express, the luxury train run by the Indian Railways, is offering 50 per cent discount on payment of a fellow passenger on booking of two people. The Special Companion offer is valid for citizens of all nationalities, the Maharajas Express said on its Twitter account, @Maharajas_Exp. On the booking of first adult on a twin-sharing basis at full cost, the second adult sharing the same cabin will get 50 per cent discount on the adult cost, the Maharajas Express said on its website, the-maharajas.com. The offer is valid till the date of departure and is subject to the availability of cabins on select departures and dates. 1. This offer is applicable on the above mentioned 10 departures. 2. On booking of first adult on a twin-sharing basis at full cost, the second adult sharing the same cabin will get 50 per cent discount on the published adult cost, said the Maharajas Express on its website. 3. The payment for the first adult will be as per normal terms and conditions and the second adult availing the 50 per cent discount, will have to make full non-refundable payment. 4. This offer is not transferable. 5. This offer cannot be clubbed with any other offers. 6. This offer is on a first-come-basis and depends on the availability of cabins/suites on a particular trip. 7. The management of the Maharajas Express reserves the right to call back the offer at any moment. 8. The decision of the management is final in all disputes. 9. Other general terms and conditions of the Maharajas Express will also apply. 10. The promo offer will be valid from date of launch i.e. 16/11/17 till the date of departure. Meanwhile, Railways’ capex for the year 2018-19 has been pegged at Rs. 1,48,528 crore, said Finance Minister Arun Jaitley while presenting Budget for the fiscal.